Hulu has announced plans to let subscribers download shows to watch offline. Finally. 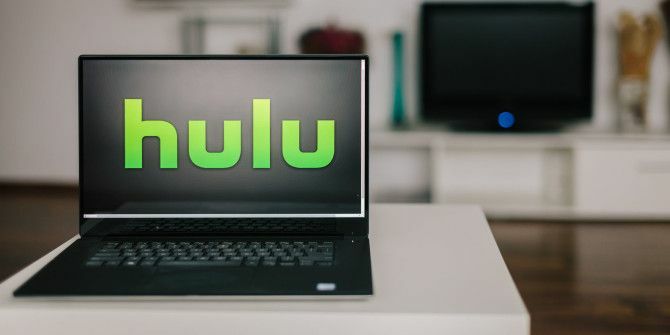 The news came during the Hulu 18 Presentation when the streaming service also revealed that it now has 20 million subscribers, and unveiled a couple of new Hulu Originals. In 2016, Netflix introduced offline viewing You Can Now Download Netflix Shows to Watch Offline You Can Now Download Netflix Shows to Watch Offline Netflix is now allowing users to download content from its catalog to watch offline. This means you can enjoy Netflix even when you can't find a decent internet connection! Read More , allowing subscribers to download shows to watch without an internet connection. And Amazon has been offering Prime Video users offline viewing for several years. However, Hulu hasn’t followed suit. Until now. Hulu is finally going to let subscribers download their favorite shows to watch offline. Or, as Hulu sees it, offer “a downloadable content experience with opportunities for advertisers”. Yes, that’s right, folks, the ads will be coming along for the ride. Hulu hasn’t revealed exactly how this is going to work, but it promises that subscribers will be able to “access their favorite shows and movies on the go, with no internet connection required,” albeit with the ads they’re used to seeing remaining intact. It should be noted that this only applies to subscribers on ad-supported plans. Those who pay extra to remove the ads from Hulu won’t have to put up with them in their downloads either. Either way the feature will debut “during the 2018-19 upfront season”. In addition to its plans for offline viewing, Hulu announced it now has more than 20 million subscribers in the United States. The company also announced new Hulu Originals and content acquisitions to boost its impressive catalog of streaming shows 16 Unmissable TV Shows You Should Watch on Hulu Right Now 16 Unmissable TV Shows You Should Watch on Hulu Right Now Netflix, Amazon are the current kings of online streaming. However, it would be a mistake to dismiss Hulu out of hand, as it hosts a number of truly unmissable TV shows. Shows like these... Read More and movies. Explore more about: Hulu, Media Streaming. Interestingly ironic, since HULU now spends more PRIME TIME offline than any streaming service. Website, app, and facebook forums unresponsive.